The depth mask in Polarr allows you to create a local adjustment using depth data from phones like the iPhone X. It's a powerful tool in Polarr, but super easy to learn. In Polarr, you'll find the depth mask with all of our other masks in the local adjustments panel. Select it to try it out. Once you've selected a depth mask, you can control what's included in the mask based on the depth data available in the photo. For example, you can place a mask over a person and ignore the background or invert the selection and create a mask only on the background. 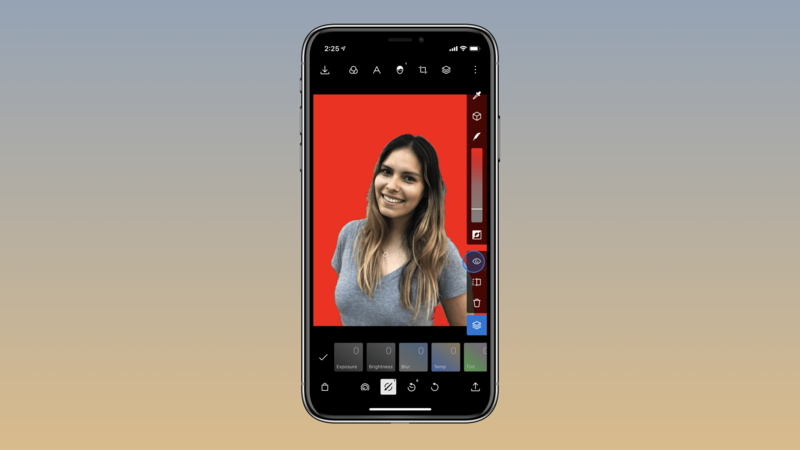 This makes it so you can then easily swap the background of a portrait photo. This should be a given, but you need to select an image that contains depth data! Otherwise, this tool won't work. On iOS, Polarr will display an image tag if it detects certain attributes in an image. For example, an image with depth data will have the tag "Portrait Mode" and will be an appropriate photo to use with a depth mask. Like any other local or selective adjustment, the power of the depth mask is in the ability to quickly and easily create a mask on either the background or subject of your photo. With this tool, we have a few ways for you to select and edit your mask. In the GIF above you'll see all four being used in the order listed. We select the first icon to just tap a part of the photo to create a mask, next we manipulate that selection using the depth slider, then we play with the feathering of the mask, and finally we inverse the selection. Reminder, you can tap the eye icon to preview your mask. Anywhere that is red is where the mask is currently. Once you've made a depth mask, you can edit it just like any others! Make adjustments to things like exposure, contrast, or brightness. You can also use the overlay tool to add different images to the mask part. In the GIF above, we replace the background with a different one!